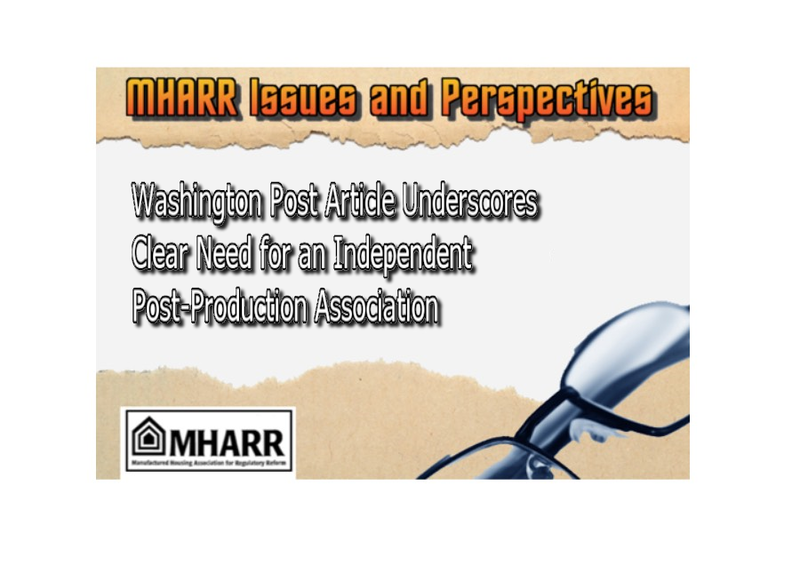 A recent article in the Washington Post regarding the HUD manufactured housing program and the reassignment of former program administrator, Pamela Danner, vividly highlights the glaring need for a new, independent, collective, national trade association to more effectively represent the industry’s post-production sector. 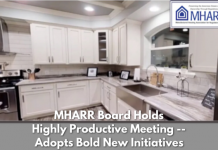 While the Post article, published May 2, 2018, was surprisingly objective in describing MHARR’s successful effort to change the leadership of the HUD program following the election of President Trump (noting that the Manufactured Housing Institute, by contrast, “did not weight-in on [Pamela] Danner’s reassignment”), the story concluded with an all-to-typically-negative account of late-2017 post-production enforcement activity by HUD regulators focused on homes sited in a Massachusetts manufactured housing community. That HUD and a Washington Post reporter would focus on a post-production regulatory issue and related post-production enforcement activity, however, is not, in itself, surprising, given HUD’s evolving – and expanding — regulatory emphasis on post-production matters and post production issues. Indeed, such growing emphasis by HUD and its defactoenforcement contractors (i.e., the Institute for Building Safety and Technology and SEBA Professional Services, L.L.C.) – and others — on post-production issues and post-production targets, is an entirely predictable by-product of the success of the industry’s production sector in two crucial areas, and represents a majorchallenge that the broader industry must now step-up to effectively address and resolve. 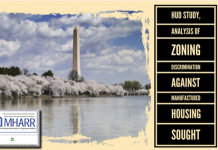 Second, and closely-related to the production sector’s high-level of compliance with applicable standards and correspondingly high-levels of consumer satisfaction, has been the highly-effective (as illustrated by the Washington Post article itself) national-level representation of independent HUD Code producers by MHARR, with its emphasis – and prime mission, as set forth in its founding charter – on fair and reasonable federal regulation that is fully-compliant with all applicable law. 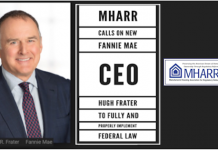 Since MHARR’s founding as a production-sector organization in 1985, therefore, HUD Code manufacturers have had a strong, independent, collective, national voice in Washington, D.C., to advocate on behalf of their interests, to hold federal regulators accountable for their actions, and to seek a regulatory climate which – as required by law – maintains a proper balance between protection and affordability. As with everything else, though, success within the production realm has been paralleled by challenges in other areas which the industry has failed – and continues to fail — to effectively address, precisely because it lacks an independent, collective, national voice to lead and advocate on those matters on behalf of the industry’s post-production sector. 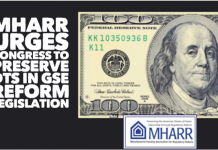 And, as the Washington Post article demonstrates, with just a single example, those challenges will continue to fester and expand, limiting the growth potential of the industry as a whole and the availability of inherently affordable manufactured housing for millions of lower and moderate-income American families, unless and until this underlying issue is properly addressed and resolved. 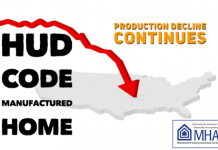 Put differently, the industry’s success in the production realm has elevated HUD Code manufactured housing to a level of quality comparable to any other type of home and, simultaneously, a level of value that exceedsother types of housing, because of the significantly lower acquisition cost of manufactured homes for consumers. While undeniably positive and beneficial for both consumers and the industry, this evolution of manufactured housing, perse, as a product, has had the correspondingly negative effect of shifting much of the focus and attention of industry adversaries, detractors and regulators to what transpires afterthese outstanding homes leave the factory, with profoundly negative impacts for both the post-production sector and the industry as a whole. These adversaries, detractors and regulators — like flowing water naturally seeking lower ground — have figured-out how to attack and take advantage of the post-production sector as the weak link in the industry’s growth and progress. Nor are these issues — and their negative impacts — confined strictly to “regulation,” perse. Continuing significant problems in areas such as financing, installation/placement, zoning, and an overall plan of action to advance the industry and its products, just to name a few, are the obvious initial challenges which recent history has shown cannot be effectively addressed and resolved unless and until there is an independent, collective, national association to represent the industry’s post-production sector. Indeed, the post-production sector today is arguably at the same juncture that the industry’s production sector was in the early 1970s, facing a stubborn stigma that led to negative publicity for the industry as a whole (as exemplified by the infamous, early-1970s “60 Minutes” expose) and other similar developments, ultimately leading to the enactment of the 1974 federal manufactured housing law. Exploring and developing national advertising and other related national promotional opportunities to advance the growth and prosperity of the industry. And the list does not end there, as there are manyother areas in which an independent, collective, national post-production association would – and would need– to function, in order to advance the industry, promote full and vigorous competition, encourage new businesses to enter the HUD Code market, and simultaneously protect consumers. Significantly, this is not, cannot – and mustnotbe – an “academic” debate, for the simple and self-evidentreason that unless and until such an independent, collective, national post-production representation is established (or, more accurately, re-established), the growth and expansion of the industry will continue to be needlessly stifled, notwithstanding an economic environment where the need for affordable, non-subsidized housing and homeownership – as provided by manufactured housing – has never been greater. To be sure, there are today, individuals and organizations which claim to advance the industry’s post-production sector. But seminars, tours, books and meetings are no substitute for a strong post-production sector advocacy organization. Instead, decisive action will ultimately be required to help move the industry toward a more prosperous future for allof its members and not just a few corporate conglomerates.